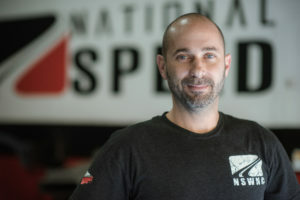 Kevin joined the National Speed team with over 10 years of experience of not only building a wide variety of high-performance cars but also tuning them! This combination of mechanical and tuning experience gives Kevin a unique perspective to confidently handle whatever project is in front of him. From installing a supercharger on a Shelby GT350 to wiring a Toyota Supra for a stand-alone ECU, Kevin’s got the knowledge and experience to confidently deliver. A testament to his high-performance (and turbocharged) addiction, Kevin’s personal fleet includes a modified 2016 Ford Focus ST, and a J32 V6 swapped and turbocharged 1995 Honda Civic.